Currently we are seeking dancers for Bollywood productions in India that we are producing. We will arrange and provide flights, accommodations, meals on-set and a meal allowance, and a salary for all successful applicants. We will provide all transportation to and from the show venue from you accommodation site. We are an industry leader in live stage and film/music video productions at unique and exotic locations. 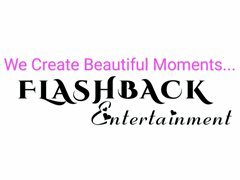 We specialize in showcasing fresh talent and productions. You will need to be able to arrive for work either ASAP, or in January/February and commit for the full 6 month term of this contract.